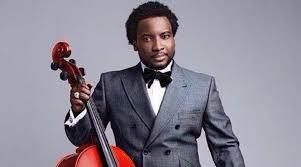 Ghanaian based UK gospel Musician Sonnie Badu has sent a word of advise to music Patrons and Stakeholders to respect and value their own talents. According to the singer, Ghanaians admire the works of foreign musicians neglecting theirs which he believes is a bad practice. In a Facebook post sighted by Remedi Entertainment, the celebrated music icon believes gospel Musicians must be taken care of adding that, they are the red candle to be lit for intimacy during worship. "If gospel musicians are skilled and have it as their full time job then kindly put them on pay roll...For worship to be complete, the musicians must play in one accord with sound mind and skill. Let's take care of our musicians." - he wrote. In conclusion he added" "we give foreigners so much attention but ignore our own...This must change". Recently MABEL OKYERE in an interview with Remedi Entertainment also complained about how they are treated after shows.. Explaining further, she revealed that, event organisers and Pastors treats foreign artiste better than Ghanaian artistes.